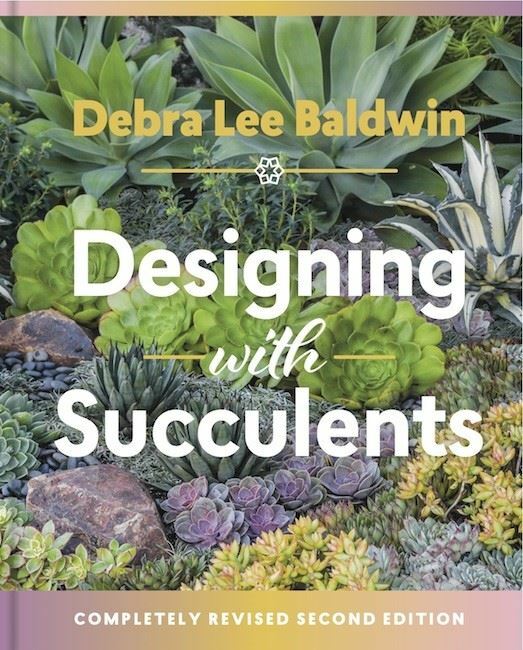 We’re launching Debra Lee Baldwin’s new book, the celebratory tenth anniversary, second edition of Designing with Succulents! Festivities include a Succulent Plant and Pottery Faire with local ceramic artists and plantspeople in the courtyard. Debra will also be there, signing the completely revised and updated new edition of the book that created global interest in succulents and made horticultural history. Then during her presentation, Debra will show us gorgeous photos from her new book (many taken right here in San Diego). And because we're Debra's "home club" (she's a lifetime SDHS member and our 2017 Horticulturist of the Year), she'll share her vision of the future of San Diego gardens. Debra Lee Baldwin, helped launched the gardening world's interest in succulents in 2007 with her first book, Designing with Succulents, and with her two other books Succulent Container Gardens and Succulents Simplified. Debra's own half-acre garden has been featured in Better Homes and Gardens, Sunset, San Diego Home and Garden, and other publications. Come early for the Debra Lee Baldwin book signing and Succulent Plant and Pottery Faire. The presentations start at 6:45.